A year ago an application was refused for six houses in Goostrey on the land next to 51 Main Road, behind the two recently erected homes. The developer is now appealing this decision at a Public Inquiry next month when Henderson Homes will be opposing the objections from Jodrell Bank Observatory, Cheshire East and Goostrey Parish Council. 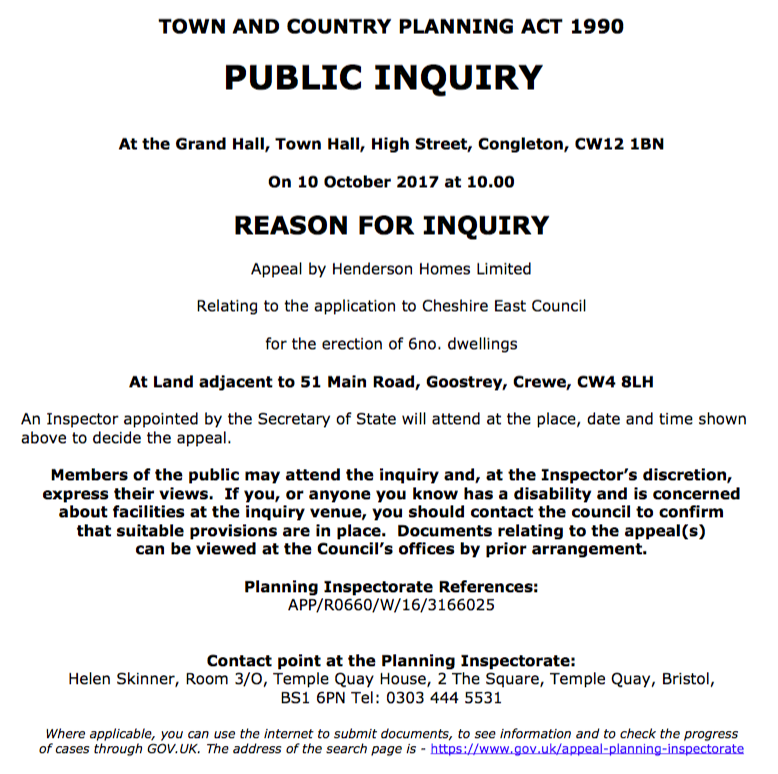 The public are welcome to attend the Inquiry which runs on October 10th, 11th and 12th October at Congleton Town Hall. Goostrey Parish Council’s submission can be read here. Various applications have been made recently on this site.